We’ve raved about them before, and winter is coming. With the remake of The Magnificent Seven and other Westerns like Hell Or High Water—which garnered an extremely rare A- from A.A. Dowd—in theaters, maybe it’s time for a crash course in the genre. 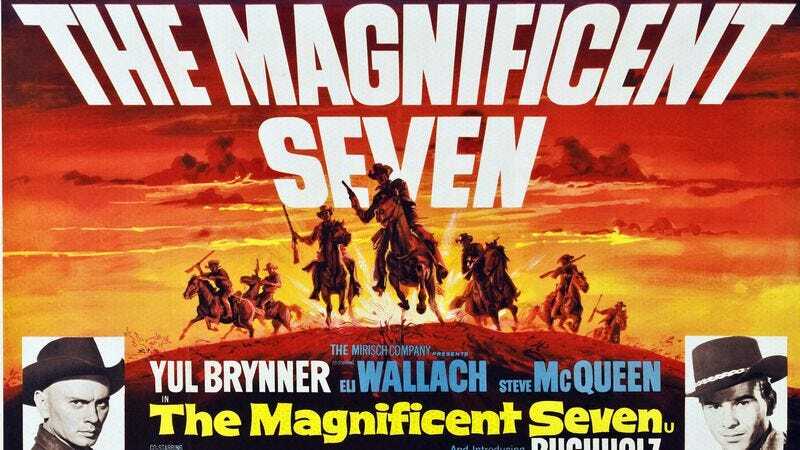 Rent or buy the 1960 Magnificent Seven and The Good, The Bad, And The Ugly. Here’s a tip on how to use your new Kindle to get library books and avoid fines. Labor Day was three weeks ago, but Amazon is still using it as an excuse to give you 20 percent off steaks. Bonus: None of them are Trump’s brand. Sure, it’s coming to theaters soon, but given the current political climate, maybe it’s time to just buy it. Even if you don’t think of yourself as much of a gamer, this tabletop game is easy to learn and fun to play. Plus, it won an award from Mensa, so it’ll make you smarter, too.